During recent visits to the state capital in Madison, Wisconsin, the recurring human chant (and drum beat and car horn-honking) was, "This is what Democracy looks like." It's been the powerful soundtrack to the mobilization of so many concerned Wisconsinites. 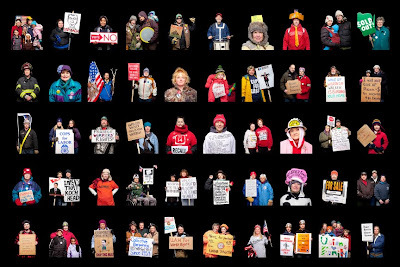 I've created a video slideshow of portraits from two shoots, conducted on a sidewalk near the state capital building - my take on what Democracy looked like, in faces, signs, hard helmets and buttons. Thanks to Michelle Nolan and my sister, Cheryl, who spotted and chased down subjects, and to Joe Dapier for generously offering the use of his song for the video. Click the image above, or here, to view. *Update: The print edition has sold out. 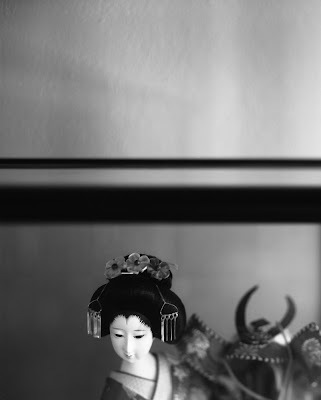 Life Support Japan is the brainchild of Wall Space gallery owner Crista Dix and photographer/blogger Aline Smithson. It's a terrific way to collect some contemporary photography while donating to the current relief efforts in Japan. I've donated the photograph above, which was made as part of my Early Places series, in which I document intimate places that have remained the same since my early youth. The picture was made in the living room of my childhood home. 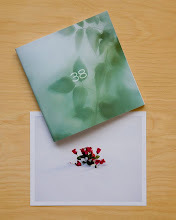 If you happen to purchase a print, let me know and I'll send you a copy of my little 38 booklet and print.